If you want to be able to receive your beloved German TV stations in the UK, fear not it’s possible! Whilst you’re unable to receive TV services that are broadcast over via cable or through a TV aerial. You can receive the vast majority of German TV programmes here in the UK over satellite including ZDF & ARD. As Germany relatively speaking is still very close to the UK, you can actually pick up German satellite TV with a small unobtrusive satellite dish, not dissimilar to a Sky style mini-dish. What Satellites For German TV? There are many satellites that can be used for German satellite reception. These include a hand full of channels from the following satellite positions 4.8E, 7E, 9E, 23.5E, 45E, 0.8W, 7W, 8W, 30W, 58W. But I would overwhelmingly that if you’re interested in German satellite reception the you should align your satellite dish to the Astra 1 satellites at 19.2E where you can receive all the main free TV services & channels and also subscription-based packages like Sky Deutschland, German HD+ & Kabelkiosk. Failing that a fair few services can be received from 9E if you already have a dish installed pointing that direction and/ or reception from the Astra 1 satellites is problematic. This may be because you have skyscraper next door to you or trees that compare in size to those found in the Amazon rain forrest or maybe the Saxon Switzerland National Park! If you’re wanting to use Eutelsat at 9E for your German satellite in the UK, please be mindful that free to air or non-subscription-based channels are slim pickings, there are only a few on there. You can however receive some Sky Deutschland & Kabelkiosk service there however. If you are wanting unencrypted free to air (FTA) and free to view TV services from Germany than you should just align your satellite dish to 19E. What Size Satellite Dish German TV reception in UK? If you’re going to be using the Astra 1 satellites, which I’m saying that you should then only a small 45cm satellite dish is fine in the south of the UK. If you want to receive German TV services in the Northern cities of England and Scotland then should install a satellite dish size of 60cm or more. Personally, I would just install a 65cm satellite dish regardless, this just helps with a bit more signal which can give more reliable reception and protect against the effect of rain, which in heavy periods can result in loss of TV signal and/ or pixilation. If the wife doesn’t want a large satellite dish or you already have a Sky dish that is no longer in use, then you could re-align this to the German satellites at 19.2E. If you’re going to re-align the satellite dish yourself, you have got to head west a bit and up a bit. I recommend reading this guide on how to align your own satellite dish. What’s Required For German Satellite Reception? 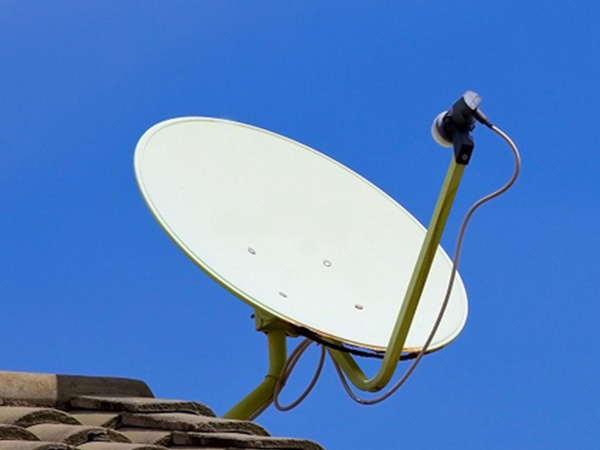 Aside from the obvious, the satellite dish itself, you will be requiring a universal LNB, connecting coaxial cable and a satellite set top box (decoder). If you have a PVR satellite receiver you can schedule recordings to internal or external hard drive or the ability to record one programme whilst watching another or the ability to record two programmes at once. You will also need an LNB with more than one output, like a dual, quad or octo LNB and a second connecting coaxial cable. Once you have the satellite dish connected, the satellite set top box connected or TV with integrated satellite tuner you can perform a scan and store the channels the German channels. Please be mindful that the satellites that are used for German TV are also the same that serve other nearby countries like France. Whilst this may not be a problem, in fact you like the fact that you have TV services from all over Europe your satellite receiver may not also know that it’s looking for German TV specifically and you may have to look through all the services stored to find the ones that you want. Once you have found these you can make a note of the channel numbers that they appear on or most satellite receivers have the functionality that enables you to arrange the TV stations in a more logically order or something more familiar. Just beware that when you do come around to rescanning for new services it may delete the way you have organised the channels and you may need to do it again. You could also instead if you know what you’re doing, just scan for the transponders that the German TV uses so that you won’t have all the other channels. To do this you usually need to frequency of the transmission, the polarisation, the forward error correction and the symbol rate. I recommend Kingofsat for finding this information. For those of you not familiar with Sky Deuthchland, it is Germany’s answer to Sky TV here in the UK. Hence the fact the name literally translates to Sky Germany. It’s much the same to the UK version with it being the go to place for Sports fans, movies and general entertainment-based programmes and they have even recently under gone their own Sky Q upgrade. 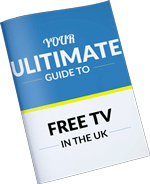 To receive Sky Deutchland it here in the UK you will need a satellite dish installed and aligned to 19.2E together with an official Sky Deutchland box and connecting coaxial cable. The difficult part to all of this is that you need a subscription payable in Germany, which in itself is not too difficult with modern banking and the internet and an address that the box can be registered to. Which is why it’s easier to have one over in Germany and then bring it to the UK rather than trying to source and set up from here. If you can’t do this, you may have to register this to a family members or friends house and then bring the equipment over. If you’re based in East Sussex or South Kent. We can help you with your German satellite dish installation. Please do get in touch today to discuss your needs. Obviously, we can’t speak on your behalf with the service providers if you’re opting for a pay subscription-based TV service, due to the small fact that no one here can speak German. But we can get everything else ready with regards to the installation and alignment of the satellite dish. I hope that you liked this blog. If you have any questions, please do LEAVE A COMMENT in the section below and I will be happy to answer them.